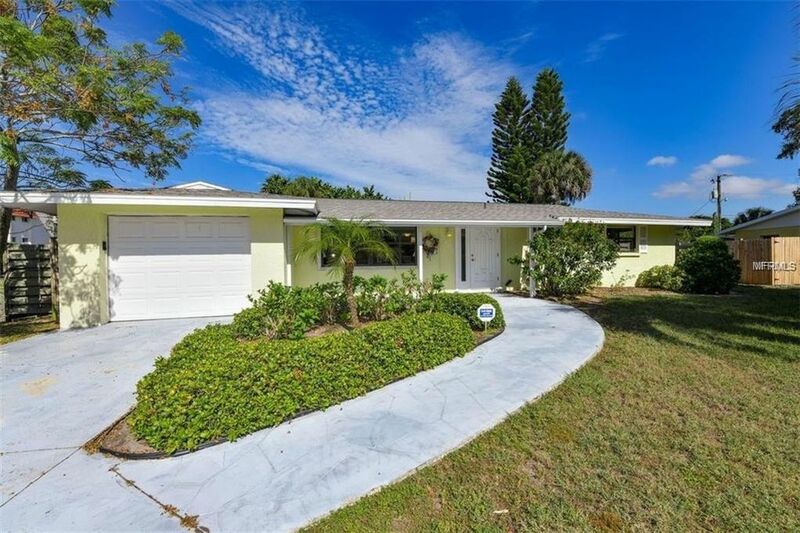 You can live in one of the most iconic neighborhoods in beautiful Sarasota. Gulf Gate is a few minutes walk away, and has its own little village with lots of shops and restaurants. Publix is just down the street. This 2 bedroom, 2 bath, 1-car garage home is clean and freshly painted. Relax in your own private swimming pool that you won't even have to maintain because the landlord maintains. Fully fenced yard. Plenty of driveway space, and circular driveway makes it easy to get in and out. Less than 10 minutes from Siesta Beach! $50 application fee and credit check required. Dogs welcome upon landlord's approval. Directions: From I-75 (Exit 205) Take Clark Road towards the beach. Left on Gateway Ave. Then left on Gulf Gate Dr. Home is on the left after the Gulf Gate shops/restaurants.